The 2018 World Cup has finally arrived, bringing fans of all backgrounds together for the greatest sporting event in the world. And MacDinton's Irish Pub in St. Pete is the place to be for the matches during the entire tournament! 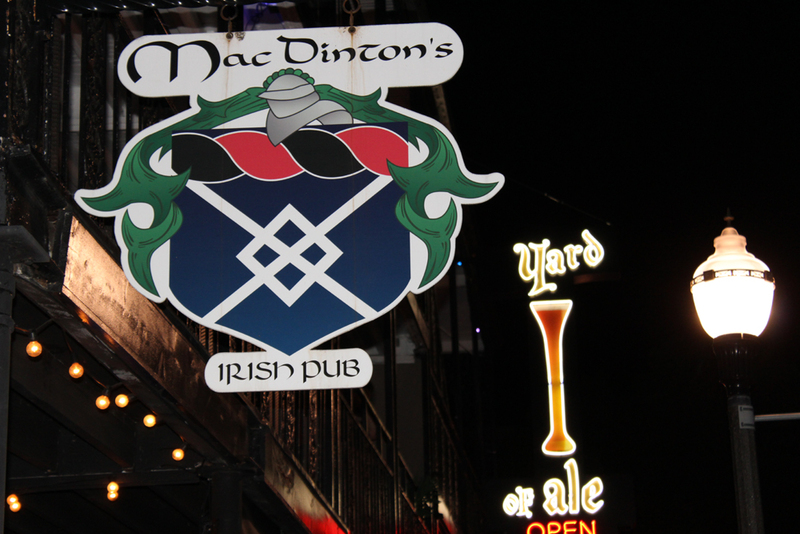 There may be no better place in St. Pete to catch all of the action than the soccer-loving MacDinton's Irish Pub. After all, just because the United States men's national team will be watching this one from their couches doesn't mean that you have to! MacDinton's is the home of the Team USA supporters group the American Outlaws, so you know they know football. You can't do much better than watching the greatest sporting event in the world surrounded by friends in the heart of downtown St. Pete. If that wasn't enough to entice you, MacDinton's will have specials all tournament long, from kickoff until the final on July 15. Be sure to come by bright and early, not just to catch the first games of the day, but also to make sure you've grabbed a booth and are properly camped out before the afternoon crowds start rolling in. They'll be offering happy hour specials all month long, including $6 appetizers, $12 domestic beer buckets, and $5 premium liquors. There's plenty to do after the games, too: Tuesdays have $2 tacos as well as $2 Milagro shots, $3 Bud Lights, and $4 360 Vodka. And their legendary $1 Beer Thursdays with Miller Lite's for just one George Washington are awesome, but don't forget the $3 Yuengling's, and $6 Vodka/Red Bulls too. And Saturday night the party is extra live with $4 Miller Lite, $5 Jack/Honey shots, and $7 Stoli drinks. Swing by this weekend and catch some of the best games of the tournament's group stages. On Saturday morning, Lionel Messi and Argentina will be taking on world-famous underdogs Iceland, and defending champions Germany will take on Mexico on Sunday afternoon. Keep tabs on MacDinton's website for new deals and specials as the tournament progresses. Almost everyone in the area has a story or two from MacDinton's. Why not add a few more and enjoy a month's worth of the beautiful game at everyone's favorite St. Pete staple? Looking for more sports and events news in Tampa Bay? Stay here at 727area, and be sure to register: it's free!